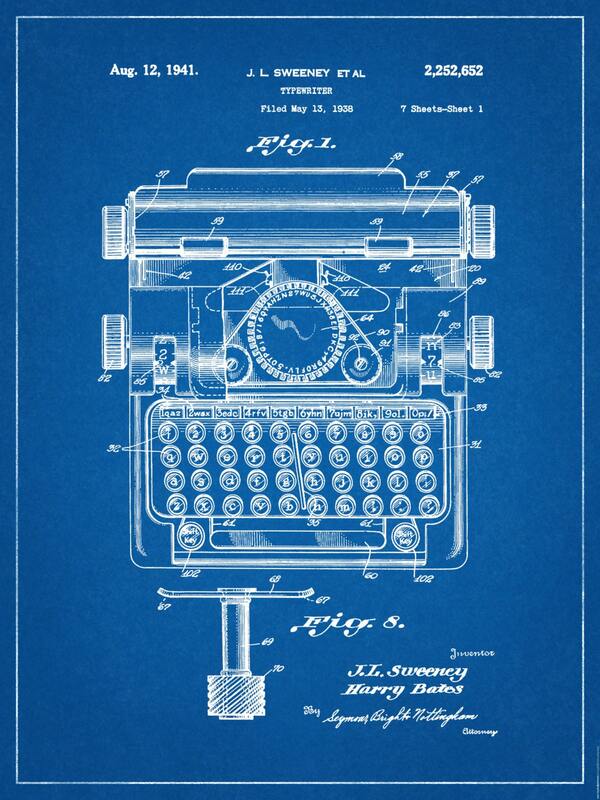 1941 Typewriter Patent designed by Joseph Lee Sweeney and Harry Bates. 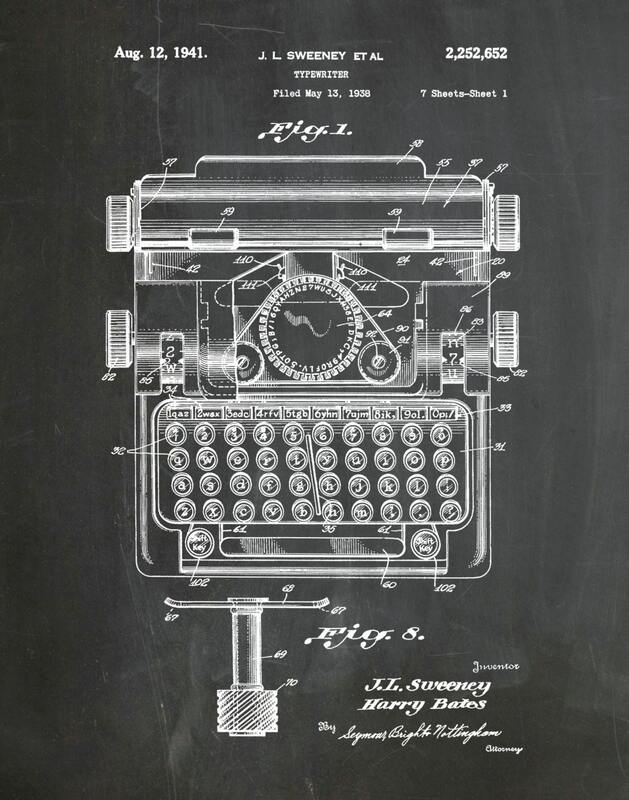 The United States Patent and Trademark office issued the patent on August 21, 1941. The print looks great in person! It arrived sooner than expected, and looks amazing on my wall. 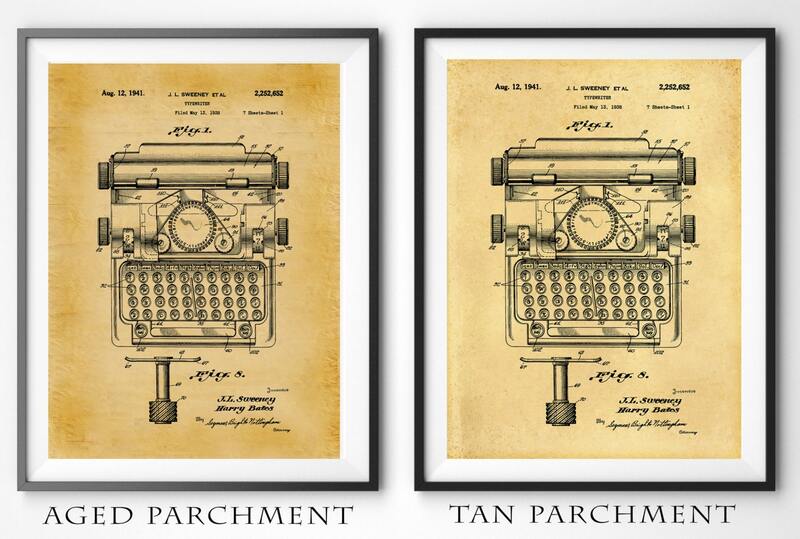 I contacted the seller previously about adding a color option that I had seen on similar prints, and they quickly accommodated my request. Overall, great service and product. 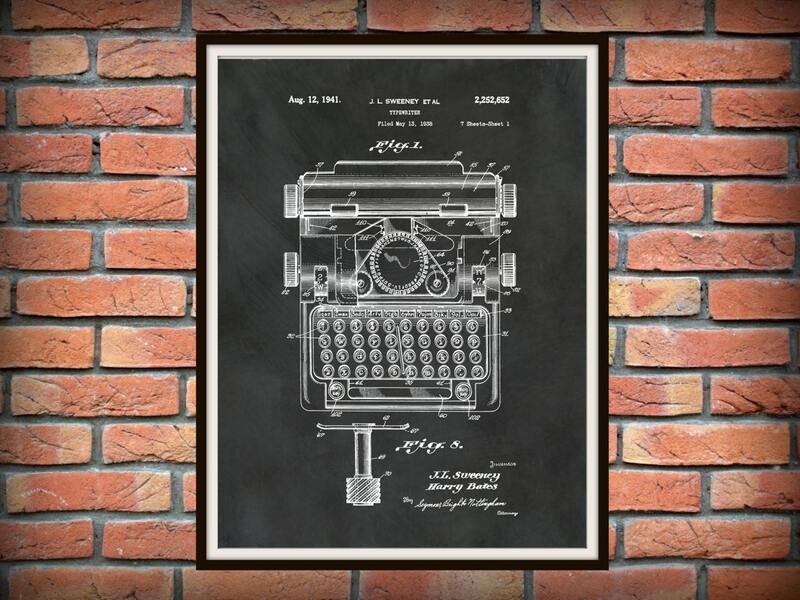 Any typist, writer, secretary, or vintage typewriter fan will love this wall art! 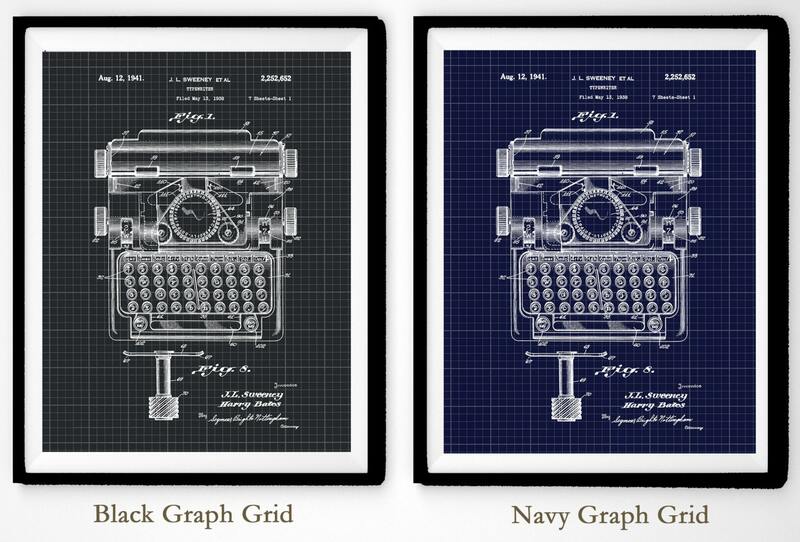 It is printed crisply on high-quality paper and will be the talk of the typing pool!